Frozen yogurt is a dynamic business growing larger every year. As more flavors are developed, more customers fill the stores. Frozen yogurt shop owners need an efficient system to handle the rising volume of business. Point of sale systems for frozen yogurt offer many features which make your business efficient. An easy interface allows for both quick employee training and streamlined checkout. The price per unit weight system is integrated in. Orders can be modified for size and add-ons. All customer data is reported to you. The system also uses the data for email marketing. POS systems for frozen yogurt keep track of all business operations data as well. Profit margins, sales reports, and expenses are all accessible. It can even be monitored in real time from a smart phone. All these features maximize success and profit. To help you pick the best one, we’ve reviewed our favorites below. 1.2 Why Is ShopKeep Our Best Overall Choice? 1.5 What Should You Look For In A Frozen Yogurt POS System? ShopKeep is simple and user-friendly. It is an elegant piece of software that allows small and medium-sized businesses to run effectively and smarter. It boosts all around increased efficiency and has dynamic and incredible features. Its level of functionality is one of the things that make it worth the buy. With this frozen yogurt POS system, most business will feel at home. Compatible credit card processors It favors its payment solution Paypal, Vantiv, Square, Stripe, Payment express, iZettle and much more. Cayan, Moneris, Mercury, iZettle, Smooth pay and much more. Specific industry Excellent for food service applications, small specialty vendors, and full-service restaurants Perfect for retail operations of all stripes Suitable for the restaurant industry, pubs, bars, cafes, food trucks and much more. Operating system requirements It requires iOS 8.2 or higher. Also, it is compatible with iPad minis and iPads It works strictly on Google Chrome. It runs on Mac OS X 10.5 or Windows 7 It works perfectly on iPad or iPad mini. Why Is ShopKeep Our Best Overall Choice? ShopKeep has been around since 2010. It is simple and helps ring up customers accurately and faster, especially when there are lots of customers (peak times).It offers a POS system with style to match the existing atmosphere of your business. It can capture the email addresses of customers and track the hours used by employees. There are lots of features the ShopKeep offers. In this section, we will discuss the standout features. The wealth of features included in the ShopKeep POS system is one of the things that are impressive about its back office. Large businesses might not find this appealing, but a small business that operates a single register will appreciate it. A small business would be able to enjoy some relatively advanced tools by paying just $69 per month. This also works for a business with more than one register. You can get access to a system that manages your customers, time of your employees, your inventory, and keep all your transaction records. Different reporting options are provided for analyzing all your data. Also, email and live chat offer unlimited technical support. The capabilities of the register are all-encompassing; splitting tenders, adding modifiers, fast discounting, ringing up items, taking payments, refunds, and easy returns. These features allow your employees to take care of customers more efficiently. ShopKeep offers an extensive reporting suite. Recently, sales by customer reporting, average cost reporting, and sales by discount reporting were added to the mix. These reports are incredibly important for your store. They help you see the highest selling items and then allow you to decide which items should receive a discount. Presently ShopKeep has the multi-location capability which could be expanded in the future. You have the opportunity to view all your stores on a single parent website. Also, with a dashboard overview, you can get an all-encompassing view of your separate locations. You can set sales, price points, etc., for all of your stores or only specific stores. This is an incredible feature for any owner with multiple locations. The inventory management tools offered by ShopKeep are powerful. Some of the amazing inventory management features are raw goods tracking, customizable register buttons, low inventory alerts and reorder reports, and bulk product management and uploading. The pocket app of ShopKeep is available on both Android and iOS. With this amazing feature, you will be able to follow up your business no matter your location. This was one of the most visible problems ShopKeep had. ShopKeep originally had one set tax rate. As many ShopKeep users live in different states, their tax rates vary. This feature has finally been fixed, and now you can set the different tax rate. ShopKeep offers an unlimited support; 24 hours a day and 7 days a week. They offer Email, web inquiry, text, and live chat. It has a support microsite which provides comprehensive and clear video tutorials and articles on all areas of the software. The presence of this POS system on social media platforms such as Instagram, Facebook, Twitter, LinkedIn, and YouTube helps in providing engaging and relevant information. It is easy to use and train your employees. Because ShopKeep is inexpensive, the pricing reasonable. This makes it excellent for smaller stores or chains. Finally, ShopKeep offers 24/7 customer service, which is incredibly satisfying. When it comes to inventory management, lots of customers have complained about issues with the system or bugs. Some users have had issues with unreliable hardware. Additionally, some users complained about rude customer service representatives who were never like that when they purchased the system. With the recent addition of some features and integration with EMV transactions, BigCommerce, and matrix inventory, ShopKeep never stops impressing users. Additionally, lots of updates are available for the reporting suite. However, there are still some features that are lacking such are the ability to add modifiers and so on. The lacking features are worked on by ShopKeeper, and they should be available in the feature updates. ShopKeep deserves a look if you want a new POS system that is flexible, has a reasonable price and with full features. Vend was created by Vaughan Roswell and his team in 2010. Out of all the web-based retail POS in the world; Vend is the first to use the HTML5 offline cache capabilities. Even though it is fully cloud-based, during an internal outage, it can continue to ring up sales. With the inventory tools Vend offers you have the opportunity to automate all forms of tasks such as low stock alerts and product count. Also, in a situation where your stock reaches a preset threshold, it will help in reordering. With this great feature, you don’t need to check inventory manually all the time. At each of your location, you can check the levels of your inventory and transfer items between stores if you subscribe to a Multi-Outlet plan. As you are ringing up a sale, you can capture the contact information of your customer. You can use a CSV file to upload the customer database to Vend if you already have it. Additionally, you can see who your best customers are with the help of Vend reporting tools. You would be able to organize list of customers, where you would have the purchase histories, contact information, account balances, and payment history. These will ensure you have marketing campaigns that are more effective.Vend has a built-in loyalty program owing to the multi-outlet and advanced plans. This great feature ensures your sales are boosted. It converts first time customers to your all-time customers. You can email your customers an invitation to sign up or add them up at checkout. Also, you can assign loyalty to every product by customizing the program. This feature is limited to the Multi-outlet and Advanced plans. It offers design help by choosing a responsive theme, an integrated website builder, and hosting. Also, it offers the ability to tie in your domain name and live synchronization with your in-store inventory. Vend can maintain more than one price book. You can use the price books in many ways. Base on certain groups of customers or store locations, separate price books can be maintained. Also, you can make the price books time sensitive. This amazing feature will help reduce the theft, discrepancy, and errors of employees. This will be done by tracking the cash management of your employees. Tracking employees can also help you identify which employees are the most reliable. This can be encouraging to see and can help you streamline your business. This is a recently added feature that ensures you create your own branded gift cards, prevent issuing of refunds by providing store credit instead, and develop your payment options. Additionally, some other features it offers are third-party integrations and real-time reporting. Remember, sometimes you must pay for third-party integrations. For premium support, Vend provides yearly contracts on the paid plans. With just a phone call 24 hours in 7 days of the week, you can get the technical help you wish for. There is a searchable and thorough database of answers to questions that are common, adding to live chat, email, and phone. Vend is active on Facebook, Twitter, and LinkedIn. It also has a YouTube channel where you can get quick tips, tutorials, and promotional bits. Vend also provides a VendU account to every user. VendU stands for Vend UniversityThis is an online option to watch videos, not just relating to Vend, but relating to varying business practices. VendU is a top of the line tool provided by a POS system. Vend also gives you access to a full forum where you can discuss Vend or business strategies with other business owners. Again, this is an excellent addition to an already phenomenal service. Vend focuses on helping you grow, not on making a profit. First, every function of Vend is self-explanatory, so it is easy to use. This means many employees can learn it quickly. Additionally, the program displays well on varying screen sizes. This can be helpful if you expect your employees to provide their own device. Vend also is much more affordable in terms of Cloud-based POS systems. Finally, Vend provides top of the line customer support, including VendU. However, many users complained about minor problems in the system which is unusual and unexpected. For example, some users complain about slow servers, meaning a lag in accessing your data. Additionally, Vend charges users for their support. While they still have 24/7 customer service, Vend is also known for long wait times in terms of service. With Vend you can enjoy all the benefits the cloud has to offer. The easy to learn characteristic make it one of the best POS system the frozen yogurt shop should use. Even though it might not have what some other cloud-based POS offers, it has a clearer focus on retail and extended reach geographically. Vend as a low cost of entry and still satisfy the great needs of retailers. TouchBistro was established in 2011. With this amazing frozen yogurt POS, clunky hardware and paper orders are a thing of the past. 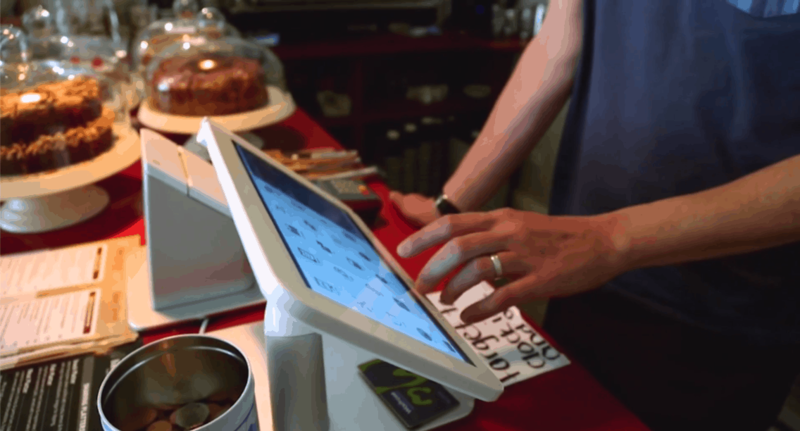 TouchBistro has been able to be an exceptional POS system in the market. It might be a real pain for servers to split the bill among parties that are large. TouchBistro allows you to split the entire bills by combine or seat. Also, you can split different parts of the bill. With a few taps, you will be able to split orders. With this feature, you can color-code seats and tables making it easier to distribute and also take orders. Also, TouchBistro let you know the server that is associated with a particular table. Additionally, you can open tabs with ease, for example, by storing the credit card information of customers based on their name. Servers can take the TouchBistro POS system to any location in your frozen yogurt shop since it runs on iPad. This means you are not going to be restricted to the checkout counter. You will be able to take orders and payment from each tableside. Also, you will be able to attend to the customers in time and avoid the long line and waste of time. With this feature, you would be able to offer an excellent service.Adding to the great efficiency is the ability to remotely access back-office features using any available device having a browser. This is owing to the cloud-based reporting it offers. Whether you are on the road or at home, you would be able to monitor your restaurant. This feature would allow your customers place their orders on their own and still use the same device to pay. This can be done by using the TouchBistro’s kiosk app, especially if you have a restaurant with quick service. TouchBistro provides an automatic discount for events. You can set up the system to preset discounts based on day, time and more instead of servers inputting discount manually. Once the event is over, items will return to their normal price automatically. The intuitive interface of TouchBistro makes it easy for you to include optional and forced modifiers to the system. For you to identify the options that are popular, the record of the custom orders is kept by the Modifier Report. Additionally, another great feature included is the reporting tools TouchBistro offers. This helps you grow your business and also manage it well. You would get detailed and comprehensive updates on the performance of your business. Whether you are a pro or standard subscriber, you would be able to enjoy the 24/7 customer service TouchBistro offers. They are present on social media platforms like Facebook, Twitter, and others. You can watch some YouTube videos and also make use of their comprehensive support section. The design of TouchBistro is attractive and modern, the interface is sleek, and it is easy to use. These are excellent features for those just learning a POS System. Additionally, TouchBistro is well-known. This means you are more likely to have friends or neighbors who know how to run the program. Finally, within the grand scheme of POS options, it is very cost effective. Many users have complained about the reports having issues or not generating correctly. Additionally, this is not all-in-all POS system. There are add-ons you can purchase, but it may not meet all your needs. Considering the features included in the TouchBistro POS system, the price is good. It is great for businesses that don’t need lots of devices or terminals. It is elegant and has potential development in the future. What Should You Look For In A Frozen Yogurt POS System? To get the perfect POS system for your frozen yogurt shop, here are some things you should look for. The flexibility in adding new products – to be a successful yogurt shop, you should be able to keep up with trends of flavor and add new updates with ease. With a perfect POS system, you should be able to create new products or edit the previous one in the system and also make updates in real-time. A cloud-based system – if your frozen yogurt POS system has a cloud-based system, you would be able to effectively run your business even if you are not around your shop or premises. In real time, you would be able to monitor your inventory, track sales, and schedule employees. Mobile Point of Sale system – If your POS solution can work on terminals and tablets, you can enhance the customer experience and increase productivity. You can avoid long checkout lines greater mobility can help. Additionally, a frozen yogurt POS with a training mode would be great. It would help develop the speed of new hires. Also, integration of scale is something you should take into consideration. The best POS system should be integrated with scales. Furthermore, consider the affordability, ease of use and reliability. In a nutshell, above are the best frozen yogurt POS systems. With the 3 top choices discussed above, we believe picking the perfect POS system for your business should no more be a headache. If you want a POS system that covers a wide range and gives a clearer focus on retail Vend is the way forward. If you have a shop with lots of customers, TouchBistro will be the best for you. It will help you take orders and distribute faster and with ease. If you are on a budget and need a POS system with a reasonable price and still have great features, ShopKeep can be the best option for you. Even though all the 3 POS system reviewed put the icing on the cake, each of this system has what makes them different from the one and another. Regarding features, efficiency, design, and much more, you know what you want. 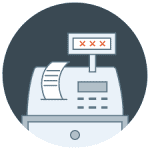 Even though there are lots of POS systems in the market; we believe you would not be making a mistake by picking any of the ones we have reviewed.